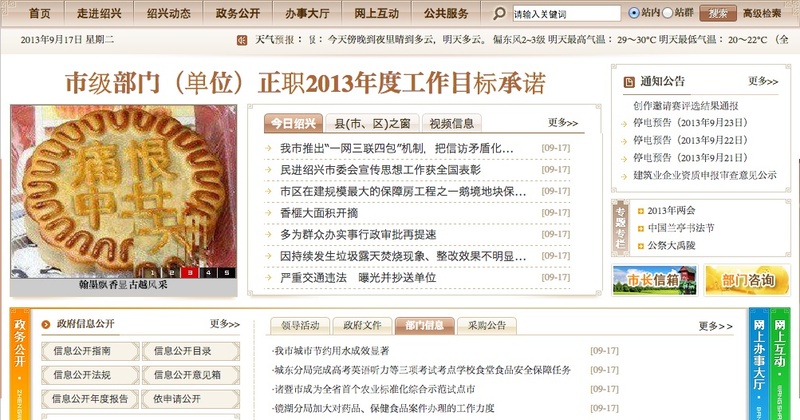 Hackers have infiltrated the local government website of the city of Shaoxing, Zhejiang province (sx.gov.cn) and replaced four of the five pictures in the “featured images” slider with mooncakes that display unflattering messages against the Chinese government. 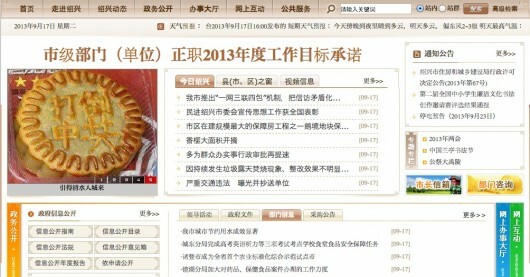 As of this moment, the subversive mooncakes are still on the website’s frontpage. Let’s see how long it takes someone to notice. 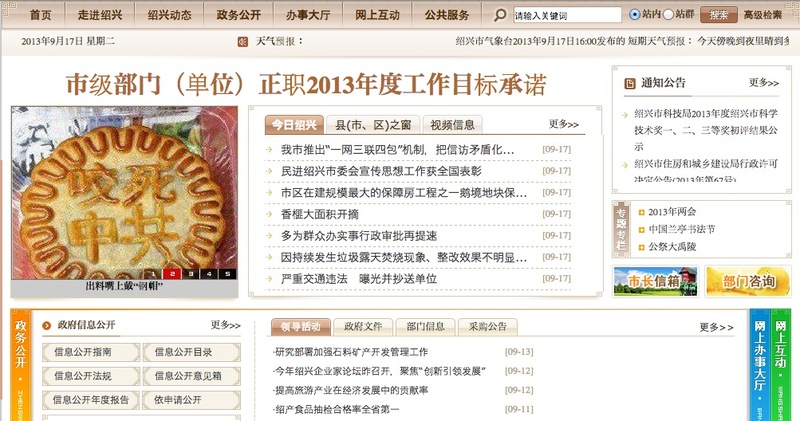 Mid-Autumn Festival is Thursday, during which mooncakes are given as gifts and subsequently re-gifted, and re-gifted again, and again, until someone throws them away. Everyone is thinking Falun Gong, yes? No, no! It’s the splittest Dalai Lama clique! Or… or pro-democracy forces hell-bent on containing a rising China! Oh, oh! I’ve got it! It’s the Imperialist aggressors jealous of China’s success! 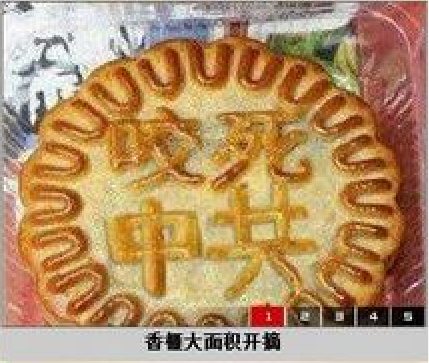 For perspective: It is said when the Han people overthrew the Mongolian ruled Yuan dynasty it was co-ordinated by sending people mooncakes with a piece of paper hidden inside saying something along the lines of RISE UP AND KILL THE MONGOLS. I had no idea moon cakes could stir such a debate. Hooray!